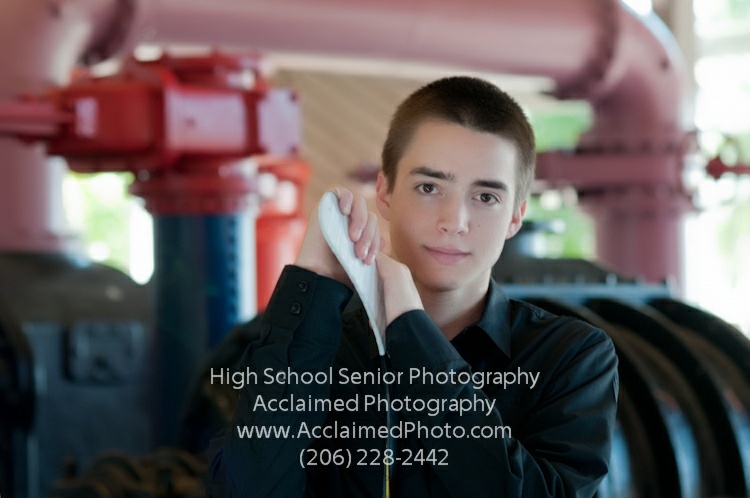 Take High School Senior Portraits to a different level…. outside–while the weather is still nice! 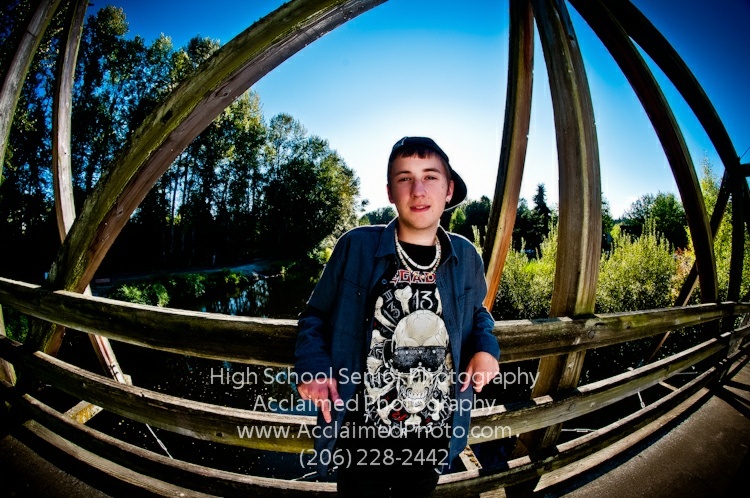 We photography a lot of high school seniors on location. Seniors are the ones who get to select their location, and we do have suggestions if you need. 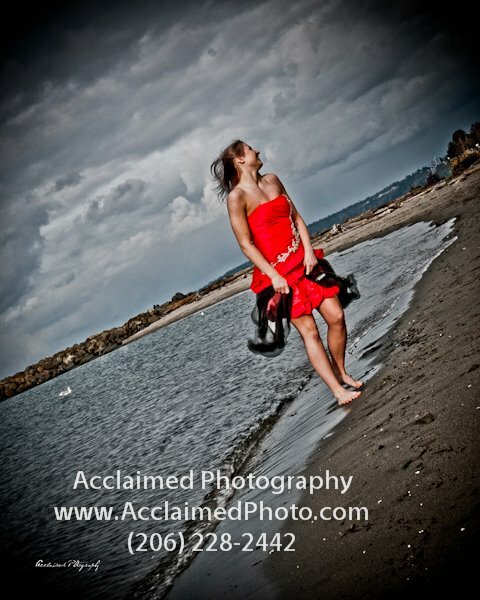 We have so many unique locations we use for our high school seniors. 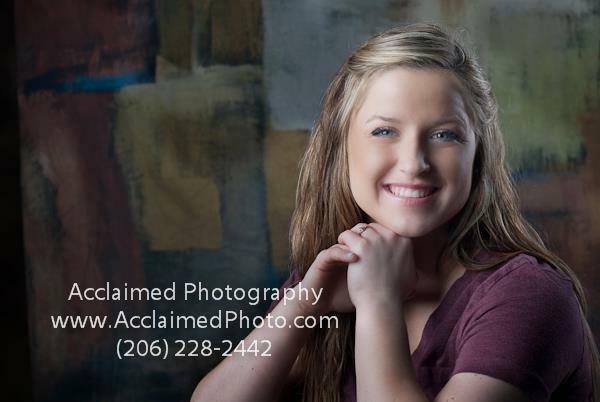 We also offer high school senior portraits in our studio, located in Bothell, WA. 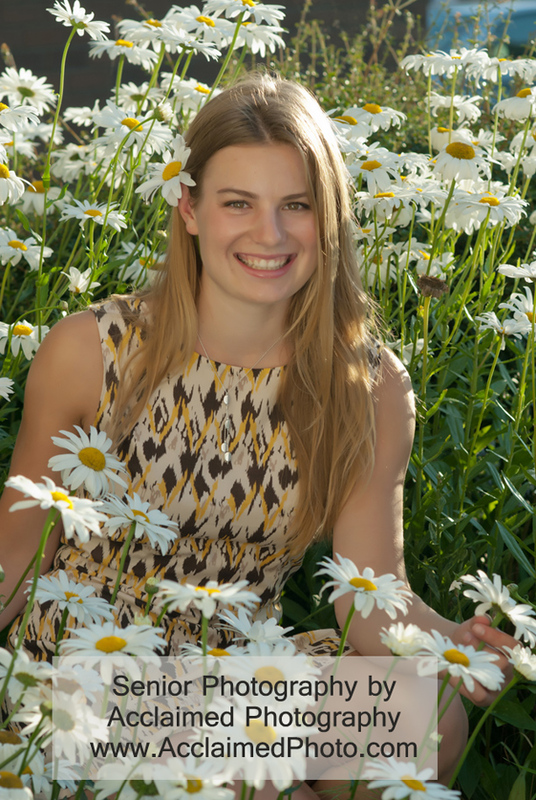 High School Senior Photography by Acclaimed Photography. 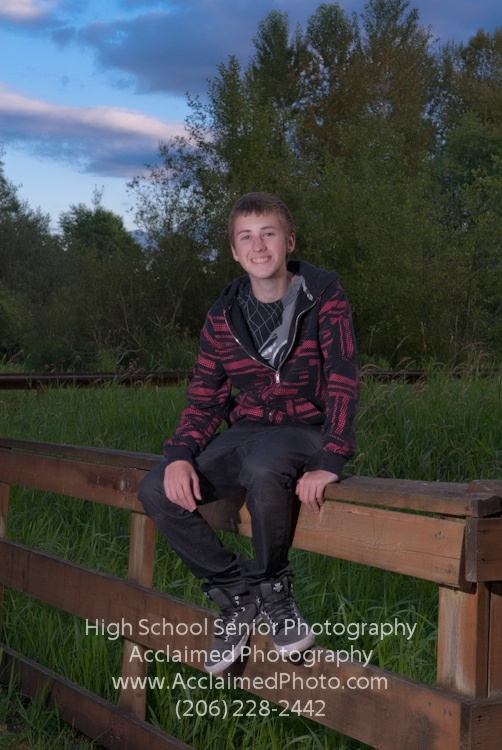 High School Senior Photos by Acclaimed Photography. skills and travel at the same time? amazing adventures planned for you! This adventure is for you if: You want to learn photography (daily) from a professional photographer, have a travel guide with you for your entire stay, enjoy incredible excursions, and want the details planned and taken care of by an experienced traveler. 12 day and 9 day adventures. March is such a pleasant time to travel in South America since it is the end of their summer/beginning of autumn. This adventure has been carefully designed to ensure an authentic and unforgettable experience. 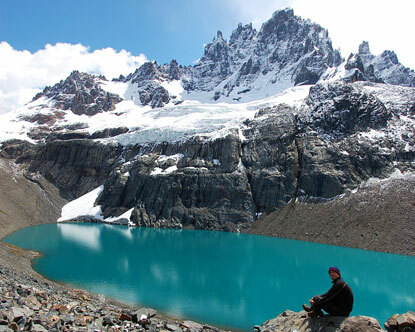 Groups are limited to 10 people, for you to enjoy your South American travel adventure in a personalized way. 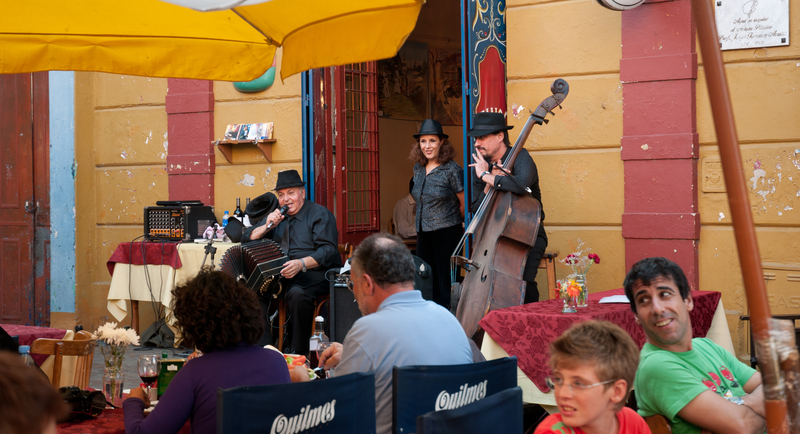 Relish the Old European atmosphere in the big city of Buenos Aires, tour wineries and taste some of the best South American wines, walk and bike through historic cities, learn to tango, and cross through the breathtaking Andes Mountain Range. How Will We Spend Our Time? Days will be busy . . . nights will be full. Be prepared to walk, a lot! There’s no better way to explore a city or its community than walking. South American buses are in a class of their own. Superior to any image you may have of buses in the USA. We will board the overnight bus in Buenos Aires to Mendoza, Executive Class with overstuffed leather chair that fully reclines, individual movie screen with headphones. Includes meal service, wine and soft drinks. 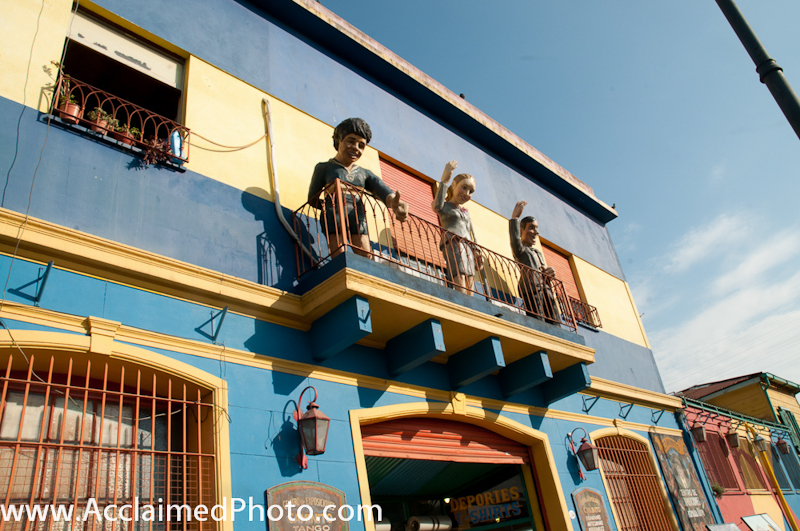 La Boca (photo above) is a lively neighborhood, or barrio of the Argentine capital, Buenos Aires. It retains a strong European flavour, with many of its early settlers being from the Italian city of Genoa. Throughout the day you can find tango dancers who will be happy to pose for a photo with you (for a small fee). This is a great place to buy local art and do some souvenir shopping. For those of you who like wine, look no further. 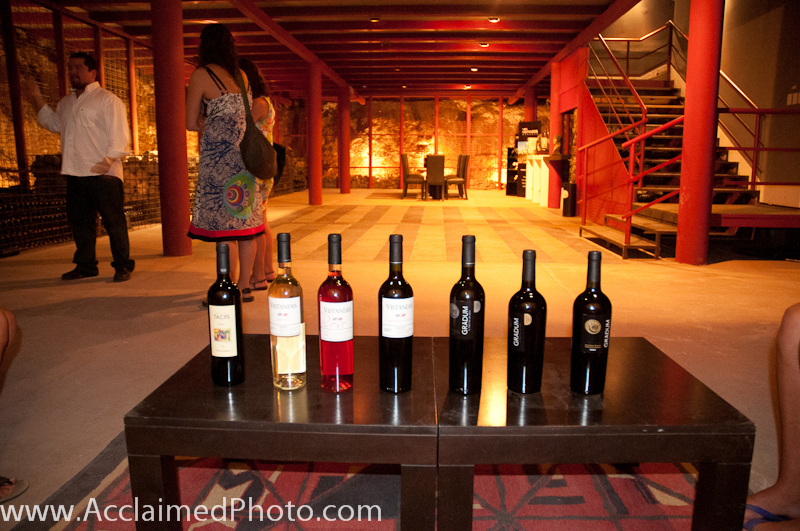 Mendoza, Argentina, where wine making is a major industry, and no lack of wineries to visit! 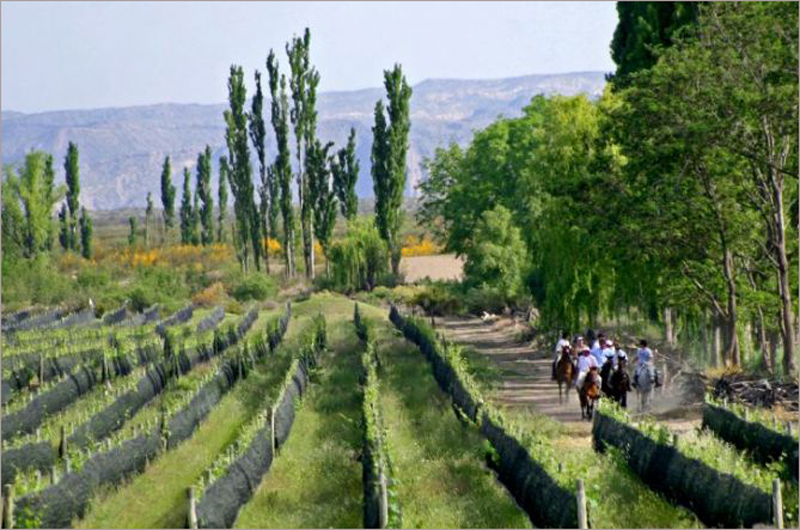 Two of the main industries of Mendoza area are olive oil production and wine making. 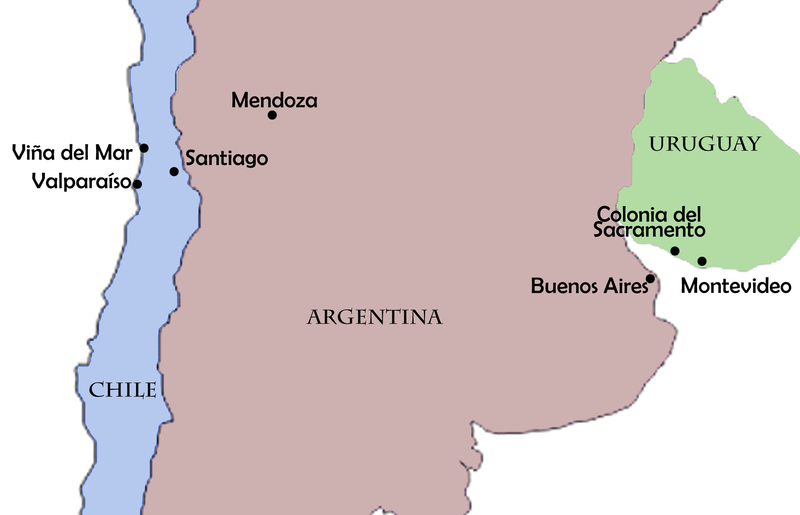 The region around Greater Mendoza is the largest wine-producing area in Latin America. while exploring and tasting exceptional wines. 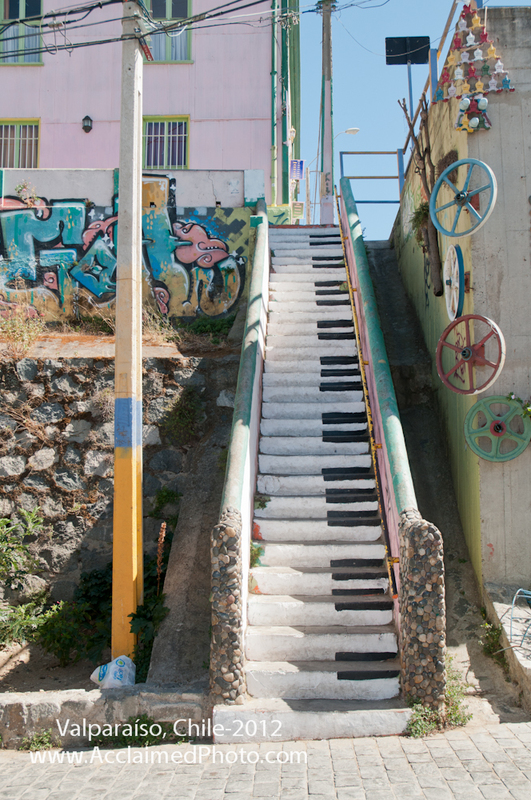 Valparaíso, Chile, a UNESCO Heritage City, is one of the most colorful, unique cities in the world! Below is just a couple of the amazing paintings (on the steps and the walls) completed by artists. Along our travel adventures, this is one city where we’ll spend some time exploring. The days we spend in ‘Valpo’ will allow us to explore this unique city, do a lot of cool photography, and at least one day-trip to wine country. The breathtaking Andes Mountain Range. will be full. Plan on having a great adventure! If you have a group of 8-10 people and you would like a custom itinerary, or private guide, this can be arranged. We can design a custom itinerary that includes more/less wine, more/less outdoor activities, different cities, etc. My traveling style is . . .
It’s no secret that working professionals need to make sure that the tools of the craft work together smoothly and reliably. It is also true that just because high quality cameras and high quality lenses cost a lot, it doesn’t mean they will work together perfectly straight out of the box. Cinematographers and camerafolk in the broadcast industry, and some still photographers, have known this for decades. While most of us still photographers are not able to cherry pick our lenses—trying several examples of the same lens to find the best one— and fewer go to the expense and trouble of having the optics in their lenses centered and collimated. Even if you do that does not ensure that the lens will then perfectly match an individual camera body. What is needed is a system for fine-tuning the autofocus system for individual lenses to eliminate the computational errors that result in front focusing or back focusing. Fortunately nearly all mid-range and high-end cameras introduced since 2007 have this. All that is needed is a method for testing and a target. Outside of making one yourself, there are a couple of kits available to make the AF fine-tuning process easy, but the most venerable is the LensAlign fromMichael Tapes Design. The original LensAlign PRO (ppmag.com review) and LensAlign Lite have now been replaced by the LensAlign MkII and MkII Plus. The difference between the standard MkII and the MkII Plus models is the size of the focusing target and the length of the ruler, with the larger target and longer ruler of the Plus model designed for use with 300mm and longer telephoto lenses. The long ruler and target of the Plus can be purchased separately and used with the basic MkII. Both the LensAlign PRO and MkII targets consist of a target for your TTL AF system to use, a sighting method through the center of the target to make sure that target is parallel to and centered in your image sensor, and a ruler mounted at a slant. The markings on the ruler guide you in determining whether you need apply positive or negative autofocus adjustment. The numbers do not translate to the precise amount of correction but serve as a general guide and for evaluating the results using Photoshop’s emboss effect as proof of the adjustment. Both the older and current models have a standard tripod screw socket for mounting the rig on a tripod head. But there are differences. For starters, where the LensAlign PRO came preassembled, the MkII comes disassembled and can be broken down flat to travel. Snapping the MkII pieces together takes a couple of minutes and is an uncomplicated process. Also where the LensAlign PRO allowed you to change the ruler angle, on the MkII the angle is fixed at 45 degrees. So how does it work? Ideally, start by mounting both the LensAlign MkII and a camera on separate tripods. While you can mount the LensAlign on a light stand, it helps to use a tripod with a head so you can fine tune the height, pitch, and yaw angles. In the worse case, you only need a tripod for your camera and a surface to rest the LensAlign on. Line up the center of the focus target with the center of your lens so that you can see all of the red circle on the back plane of the target inside the hole in the center of the target (above). The alignment process goes faster if you have an assistant moving the target while you look at the camera’s preview screen. Alignment is critical to make sure the zero mark on the ruler is not at an angle to the sensor plane on the focus target. Once set up, shoot at different AF micro-adjust settings and the with lens wide open. Use a low ISO as well. While Canon and Nikon both recommend a target-to-camera distance of 50X the focal length, I’ve found that a 25X distance for most lenses works best. 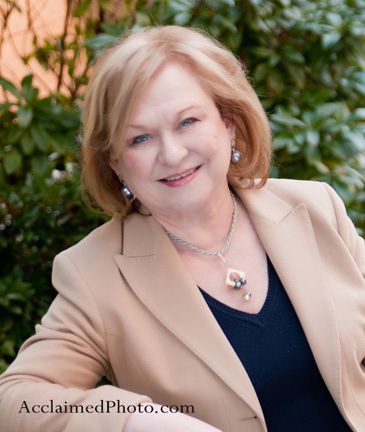 If you regularly shoot with the camera at a fixed distance to a subject, for studio headshot portraits for instance, use the target at that distance. On most cameras the auto-focus micro adjustment range goes from -20 to +20. To speed the process along I shoot these initial series in increments of three starting at -18 (-18, -15, -12 … +18) and then import them into either Photoshop or Lightroom and view at 100%. Once I have found the best setting then shoot a second set of images at single step increments around the best result. 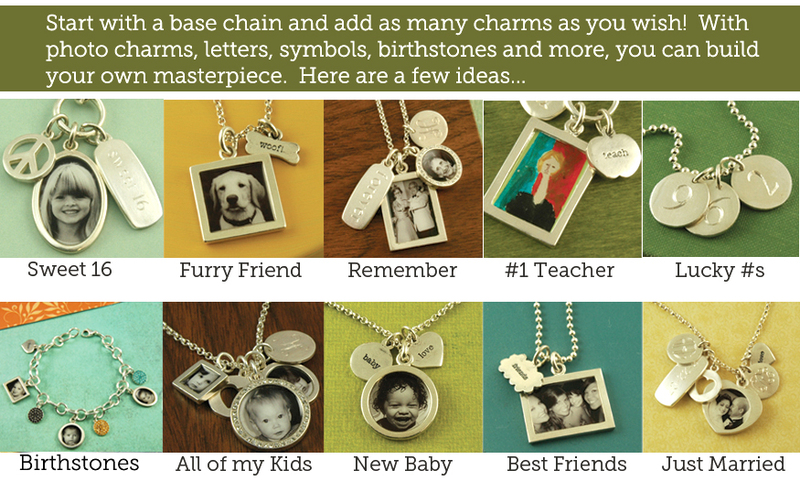 For example, if +9 yields the best initial result shoot at +7, +8, +9, + 10 and +11. To confirm the results, Michael Tapes suggests opening the select image in Photoshop and applying the Emboss filter. You want to look for offsets of color around the zero mark on the ruler. Once you’re confident of your results, make sure the best setting is programmed into the camera for that lens and you can move on to the next lens. Zoom lenses present a slightly different challenge, as the settings that work at one end may not be optimal for the other. Canon addresses this in the EOS 5D Mark III and EOS 1D X by allowing for settings at both the Wide and Tele ends. We hope Nikon follows their lead. There is one more significant difference between the older LensAlign PRO and the LensAlign Mk II: the cost. While the price of the LensAlign Pro was $179.00 while, the MkII sells for $79.95. Fine-tuning autofocus performance really makes a difference in image quality. While it can’t turn a bad lens into a good lens, or a good lens into a great one, it will markedly and sometimes startlingly improve the results you get from that lens and camera. The LensAlign MkII is available either directly from from Michael Tapes Design or online through B&H, Adorama, and similar online retailers. Michael Snow shot this multi-blast scene with his Fujifilm FinePix S5000 EVF camera by using a 2-second exposure and setting his aperture to f/8. A camera. While an SLR is best because it gives you the most control over exposure, a simple point-and-shoot will do in many cases. Ideally your camera should have both exposure and aperture controls. Most compact cameras have some form of manual override. These can come in very handy. A lens. Really, any lens will do, depending on the effect you’re after. If you want a panorama that includes an interesting landmark or land form, use a wide angle. If you want to fill your frame with fireworks, use a telephoto. Not sure? Bring a wide-to-tele zoom! There are many long-range SLR zoom lenses on the market these days that can cover your needs quite well. A tripod. Handheld fireworks photos simply don’t work because the most effective fireworks photos are long exposures, and humans can’t keep a camera still for the one-second exposure you will likely need. The lines that trace the path of the bursts will be jiggly and detract from the beauty of the blasts. Even optical image stabilization won’t help much (it might help a little). To eliminate shakes, the camera must be mounted on a stable support–and a tripod’s the best. The answer to that question depends on how much you are willing to invest, your level of experience and your interest in photography. We’ve put together three possible kits for photographers with different needs. Why type describes you? Basic: I’m a snapshooter and I just want my fireworks photos to come out clearly. Camera: At a minimum, you need a camera that lets you set the shutter speed manually (shutter priority mode), or has a “Fireworks” exposure setting. It should also have the ability to record relatively long exposures, and have no shutter lag (a tall order for many compact cameras). Tripod: You needn’t spend a mint on a tripod, but since lower-cost tripods may not be as rock steady as pricier models, hang your gadget bag from the center post to give it a more stable center of gravity. Hobbyist/enthusiast: I want to take prizewinning photos of fireworks that I can blow up to 11×14 or bigger and proudly hang on my wall. Camera: An advanced compact or low to middle-range DSLR camera or MILC will give you sufficient exposure control and decent resolution and overall image quality for a fine blow-up. Suggested lenses (for DSLRs): A good general-purpose zoom lens should be sufficient, as fireworks typically fill the sky if you’re standing in the designated viewing area. Check out standard wide-to-tele zooms. Committed/Pro: I want to shoot marketable fireworks photos that I can sell as wall art, market as a poster, or licence out for use as stock photography. Camera: Advanced metering and exposure control, high resolution, and fast burst rates will help you capture exactly the right moments at the correct exposure. Prosumer and pro cameras will get you there with no doubts. For a lens, use a better quality midrange zoom (read Bob Atkins’ article about how to tell the difference) and a good, steady tripod. Also consider a remote shutter release to minimize camera vibration during those long exposures. Zoom out and show your location: Water’s a great way to add an extra dimension to your fireworks photos, and if the fireworks are being launched on the water, you’ll be able to see the rockets streaking skyward and smoke below, which adds another element of interest. Photo © Ruslan Gilmanshin / istockphoto.com. Good: An unobstructed view of the sky, upwind of the action. Make sure there are no buildings or trees in the way. Look for an elevated position so you don’t have the heads of the people in front of you in the shot. Why upwind? You don’t want the smoke blowing towards you because it can block the view–and do you really want to smell that? Better: An unobstructed view with water. A body of water can result in interesting reflections of the fireworks. Best: An unobstructed view with a landmark. Fireworks blazing against the profile of a well-known (and hopefully well lit) building or natural landmark can add a point of interest (and possibly salability) to your image. Aperture: Most photographers use ISO 100 and an aperture of between f/8 and f/16. The smaller aperture intensifies the colors of the fireworks and prevents overexposure. 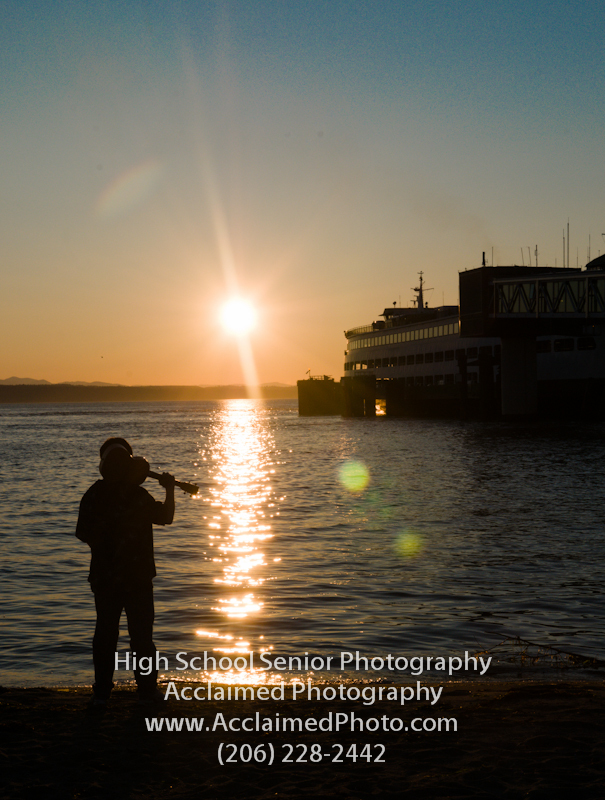 Experiment and see how the different aperture setting changes the look of your image. Shutter speed: Use your camera’s “B” (bulb) setting. Start your exposure at the moment the burst begins, and end it when the burst reaches its peak. How long is long enough? For a single blast, a second or two should be sufficient. Some photographers leave their camera on B and block the lens until there’s a burst, and repeating the process over several bursts. This results in a multiple exposure that can fill the frame with fireworks. Scott Laliberte used his Canon Digital Rebel XT and Canon 70-300mm f/4.5-5.6 DO IS USM lens to capture this amazing blast. Color balance: Daylight is fine, but if you have lit buildings you should set color balance based on how they are lit. If your camera lacks manual settings, you can still get reasonably good fireworks shots. Set it to Landscape mode so it focuses on infinity. Disable the flash. Start the exposure before a blast if possible and the lens will remain open longer. To reduce lag time (a delay between when you press the shutter release and the camera takes the picture), keep your finger on the shutter release, pressing it halfway down. If your camera has a noise reduction feature, by all means use it. The long exposures are bound to overheat the image sensor, which results in digital artifacts (“noise”) that look a bit like grain in your photograph. The black sky will look muddy or worse. There is also software and there are techniques for reducing grain in Photoshop—but that’s another story. 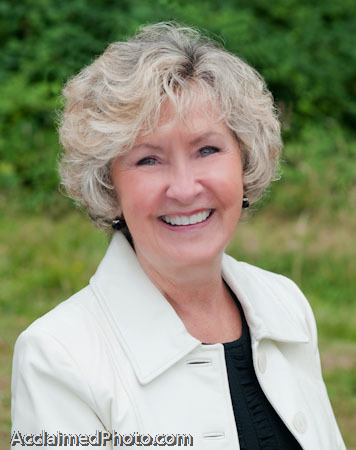 Earlier this week I had the pleasure to photograph attorney Karin Quirk in Kirkland, WA. 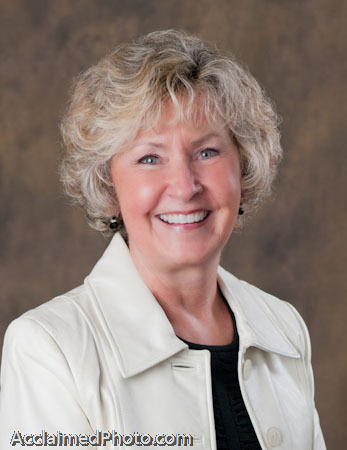 One of her specialties is divorce law and her tag line is ‘“Empowering couples to dissolve their marriage in a respectful cooperative way”‘, and she always adds in ‘Divorce for Grownups’. She’s truly a compassionate woman, very approachable and professional. You can find out more information on her website at http://karinquirk.com. Surprisingly it was a beautiful February day in Kirkland so we went outdoors for her portrait session. Within minutes of walking outside I found a location with great lighting and something for her to lean on. 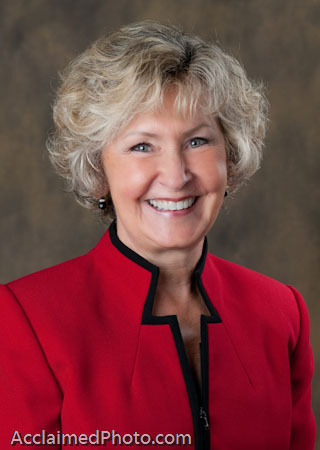 Since Karin and I have known each other for a little while, through a networking group, she was already comfortable with me and I think her portrait reflects that. 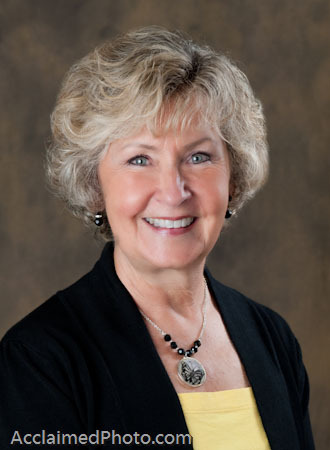 Here is the professional portrait she chose to represent herself and her business.